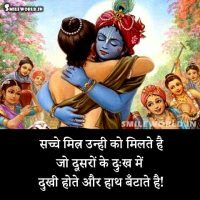 If You Are Looking For Friendship / Dosti Quotes and Sayings in Hindi With Images Free Download and Share With Friends and Family on Facebook and Whatsapp. 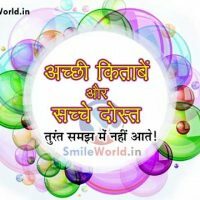 सच्‍चे मित्र के तीन लक्षण हैं!! दिखावा इसमें न ज़रा है जज्‍़बातों से भरा है पल में समझ जाये हाल दिल का रिश्‍ता दोस्‍ती का कितना खरा है! 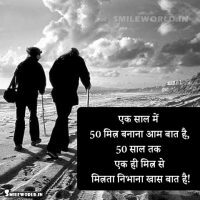 Dikhawa Ishmein Na Jara Hai, Jajbation Se Bhara Hai, Pal Mein Samjh Jaye Haal DIL Ka, Rishta Dosti Ka Kitna Khara Hai!! 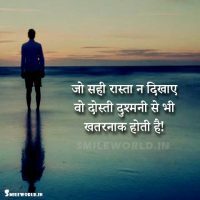 सच्‍चे मित्र के तीन लक्षण हैं:- 1. अहित को रोकना, 2…. दोस्ती निभाने को तो सभी दोस्त तैयार हैं! Zindagi Main Ek Aisa Dost Hona Jaruri Hai!! Aaina Aur Parchai Ke Jaise Mitra Rakho !! Jin Logo Main Lajja Ka Gun Na Ho!!
! 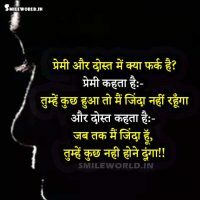 !अच्छी किताबें!! ……..और…….. ! !सच्चे दोस्त!! तुरंत समझ में नहीं आते! 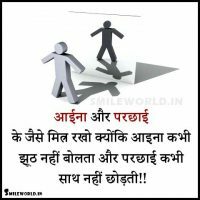 Acchi Kitabey Aur Sache Dost Turant Samjh Mein Nahi Aate! Premi Aur Dost Main Kya Farq Hai? 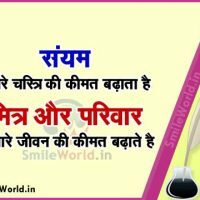 संयम – हमारे चरित्र की कीमत बढ़ता है!! Sacche Mitra Unhi Ko Milte Hai!! सच्चे मित्र उन्ही को मिलते है जो दूसरों के दुःख में दुखी होते और हाथ बॅंटाते है! 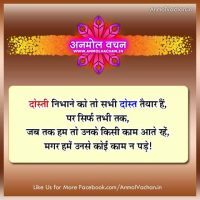 Sacche Mitra Unhi Ko Milte Hai Jo Dusron Ke Dukh Main Dukhi Hote Hai Aur Hath Batatte Hai….